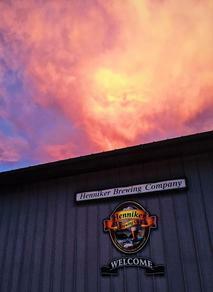 About – Henniker Brewing Co. It all started back in 2011 with four guys, a passion for craft beer, and an abandoned warehouse in the woods of Henniker, New Hampshire. 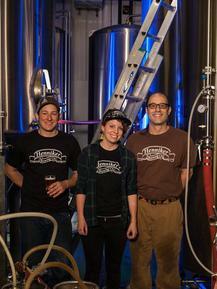 We set out with the goal of brewing quality beer that New Hampshire could be proud to call its own. We don't chase trends, we brew beers that we enjoy drinking. We believe beer should be both affordable and accessible. Beer should be something that brings people together in friendship and celebration. If you believe the same we invite you to stop by the brewery and share a beer with us. We appreciate your support, cheers! Devin brings along an extensive brewing background both internationally and domestically including graduating from BrewLab at the University of Sunderland in England, certification from the International Guild of Brewers and Distillers, brewing for Bridge Road Brewers in Australia among other breweries across Europe and the US. When he's not creating some tasty brews Devin enjoys hiking around New England, sipping on a fine whiskey, and playing with his dog. Dave joined Henniker in the summer of 2017 as our Operations Manager with a background in culinary arts and restaurant/bar management. He has quickly been able to jump on board and help with everything from inventory management to sales and events. 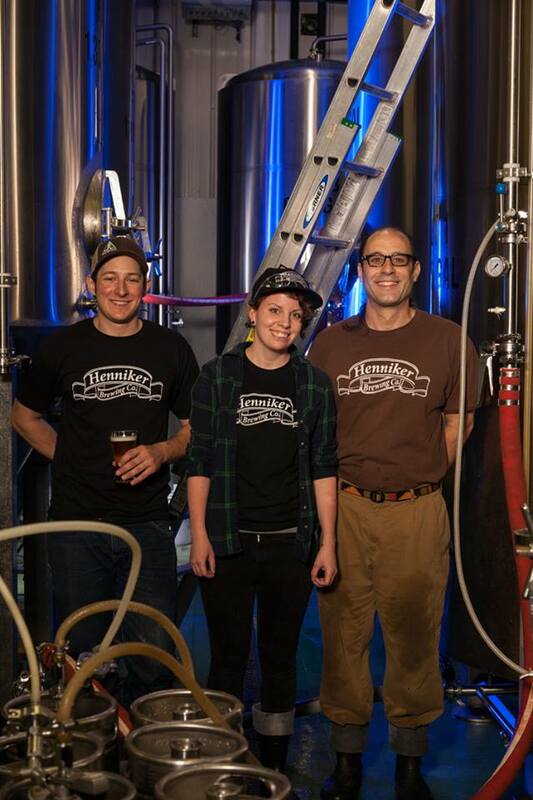 His strong work ethic and passion for craft beer have been a great addition to the Henniker team! 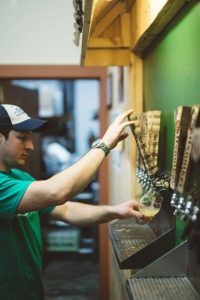 Ryan has been involved with Henniker Brewing Company since the beginning, first as an investor and then in May 2013 took over as the full time Marketing Director. He was born and raised in NH growing up in Bow before receiving a marketing degree from the University of New Hampshire. 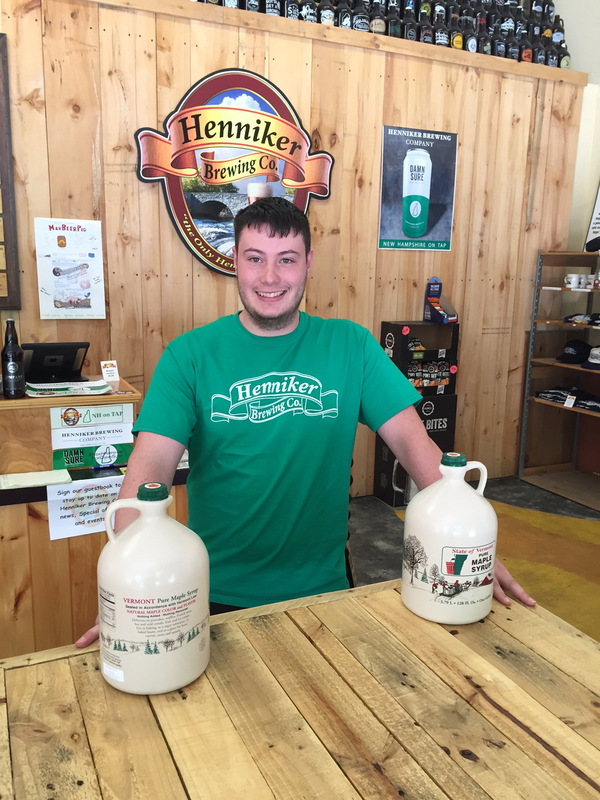 From marketing and social media to meeting with accounts and setting up events Ryan is out helping to spread the Henniker Brewing name across New England. 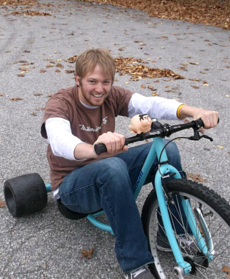 Outside of the brewery Ryan enjoys golfing, rooting on New England sports teams, concerts, and pizza. Pat joined Henniker Brewing Company in February of 2016 as a sales representative after previously working in sales for the Woodstock Brewery. 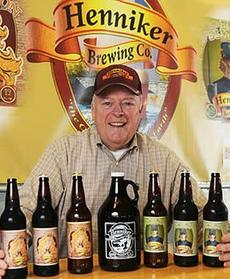 You can find Pat traveling throughout NH, MA, and ME spreading the word about Henniker Brewing through sales and events. He brings a great amount of craft beer knowledge, passion, and energy wherever he goes and we are thrilled to have him as part of the team! 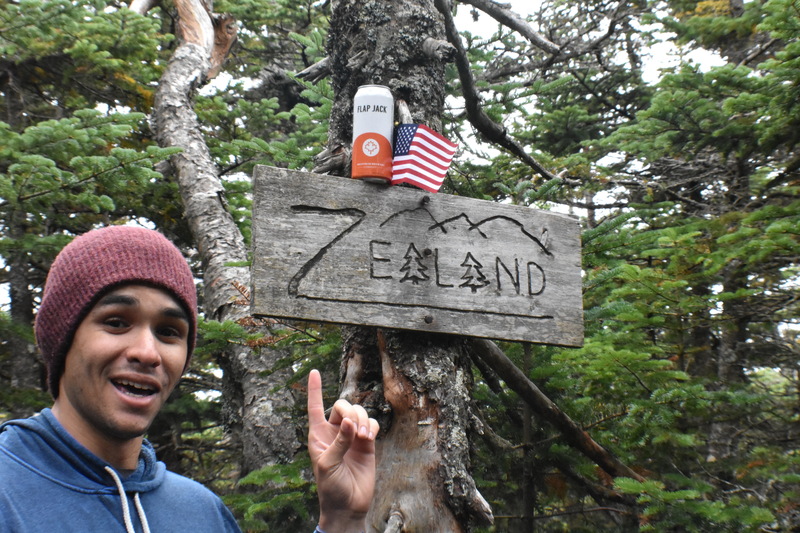 Outside of work Pat enjoys hiking, visiting other craft breweries throughout New England, Genesee Cream Ale, and cheering on the Pats, B's, Sox and Celts! Bill is a true craft beer renaissance man. 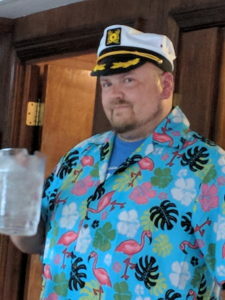 Having a long resume spanning many different positions at breweries all over the United States he is a great resource for any issues we run across in our day to day operations. Whether he's canning the latest run of Hop Slinger or bottling King Misanthrope you can usually find Bill out back blasting music and cracking jokes! 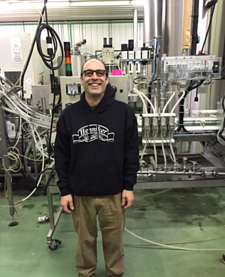 He has been a great addition to the Henniker Brewing team and we love having him around. Outside of the brewery Bill enjoys spending time with his family, playing the washboard, and tinkering around in his wood shop. 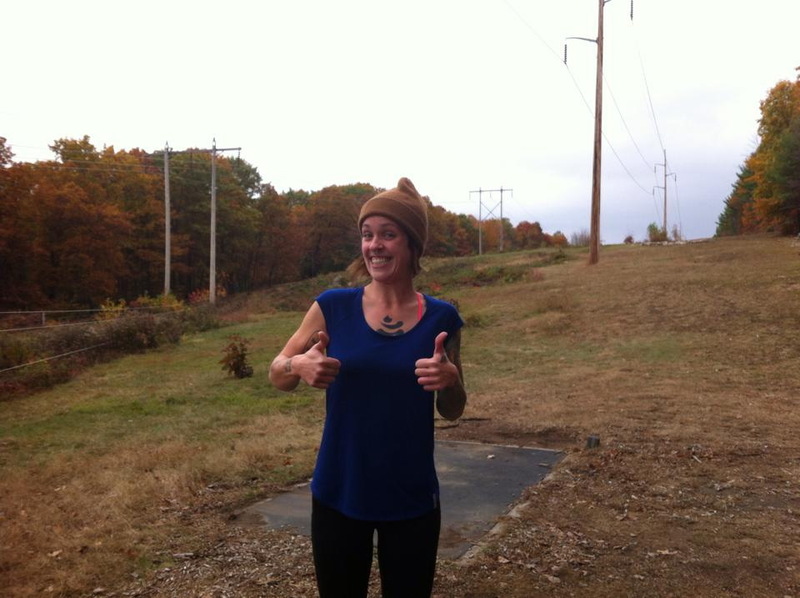 Liz is a New Hampshire native, originally from Suncook and now living in Concord. After going to school for eight years without a degree you could say shes working on her PHD in craft beer! She joined the Henniker team in June 2018 after working the bar with our friends at Area 23. Stop by our tap room, grab a flight or pint and say hello! Outside of the tap room you can find Liz enjoying a cold one while playing a round of disc golf!